Many forest owners, big and small, outsource their forest management. 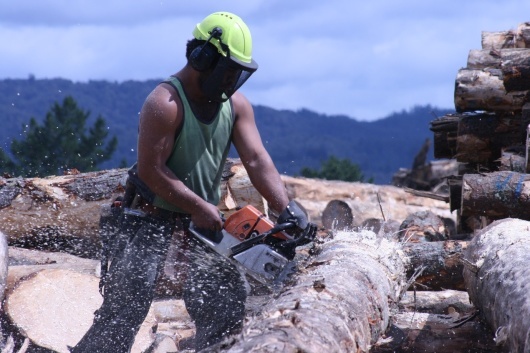 Last November's amendment to the Approved Code of Practice for Safety and Health in Forest Operations (ACOP) and this year's impending Health and Safety Reform Bill will redefine the roles and responsibilities of forest owners. A forest owner, as a Person in Charge of a Business Undertaking (PCBU), has specific principal's duties with regard to engaging contractors or workers. This was explored in Clarky's Comment in the June edition of Wood Matters. A common response to these changes is to consider engaging harvesting managers as a principal, rather than as an agent. The thinking here is that principal's duties will be more effectively discharged under such an agreement. This approach, however, is seriously flawed, and has other unfavourable consequences. Firstly, the ACOP states: "Principals or contractors cannot "contract out" of their liability under the Health and Safety in Employment Act 1992 by making another party take responsibility for the principal's or contractor's safety performance". Clearly, just changing the contractual engagement will not reduce a forest owner's duties. So, accepting there is no reduction in a forest owner's duties by engaging a harvesting manager as principal, are there any other advantages associated with such a change? The answer is no, quite the reverse. management fees will be clearly presented, transparent and understood by both parties - there should be no "murkiness"
insurances, liability caps, indemnities and other important contractual terms should be fair and reasonable to both parties to prevent the manager needing to build excessive risk into its management fees. receipt of log sales revenues gets confusing as under a principal agreement the harvesting manager effectively becomes the defacto log purchaser. In fact, the engagement of a manager as principal starts to look very much like a stumpage sale which has its own set of considerations (advantages/disadvantages). Better to evaluate this sales method and choose it, if applicable, than choose a seldom-used principal engagement. So whilst engagement of the harvesting manager as principal may seem beneficial at first glance, in reality the forest owner cannot avoid its principal's duties associated with health and safety and the environment. In addition, a lack of alignment of the objectives and transparency of transactions is likely to result in a less profitable outcome for the forest owner. It is for these reasons that the agency basis of engagement is by far the most common in forestry in New Zealand. Despite all of this, it is not uncommon to find smaller forest owners who have yet to understand or differentiate between these two types of contractual engagement. Perhaps the development of more comprehensive principal's duties will be the catalyst to change this. Agency-based management agreements are predominantly used to engage forest and harvesting managers. They allow a competent manager to both address principal's duties effectively for the forest owner and maximise the financial returns from the forest.